"Do not merely listen to the word, and so deceive yourselves. Do what it says. Anyone who listens to the word but does not do what it says is like someone who looks at his face in a mirror and, after looking at himself, goes away and immediately forgets what he looks like. But whoever looks intently into the perfect law that gives freedom, and continues in it – not forgetting what they have heard, but doing it – they will be blessed in what they do." On January 1st millions of people set goals for the coming year. Losing weight/ healthier eating ranks first, followed by life/self-improvement, better financial decisions, and rounding out the top four; quitting smoking. The motivation and self-determination runs high and the excitement of what this ‘new life’ could look like takes over! So, why do only 8% of resolutions come to fruition? The thought alone seems to gather enough passion and motivation that surely you can’t fail! But, thinking and imagining of a better ‘you’ doesn’t just happen. Day-dreaming never gets you too far! James reminds us of this when it comes to living our faith and being obedient to the calling God has on our life. 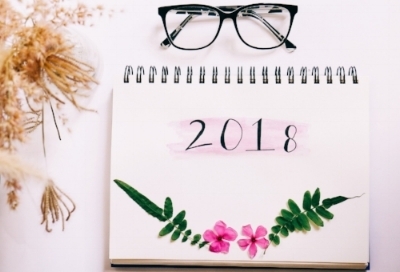 While God calls us to have His truth readily on our lips, knowing His word alone is just the same as day-dreaming about those new year’s resolutions. Today, put action to your calling. Diligence separates you from existing to living a purpose driven life. God is waiting to work in you and through you, but first you have to be willing to go to the gym even on those days when you don’t want to. Take time today to list out areas in your life that God is calling you to. What obstacles are getting in the way? What’s stopping you from being able to submit completely to the Lord? Throw off all that hinders and entangles, remove things in your life that stop you from being used for His glory. Father, thank you for who you made me to be. Thank you for trusting me with all that I have, and thank you for always meeting my every need. I pray for clarity to see the things in my life that hinder my journey and strength to overcome the obstacles that stand in my way. Father, prepare my heart and guide my steps as I submit more to you each day.